(Reuters) - A white nationalist featured in a widely seen documentary about this month's violent marches and counter-protests in Charlottesville, Virginia, has surrendered to police after they issued a warrant for his arrest, according to a police statement. 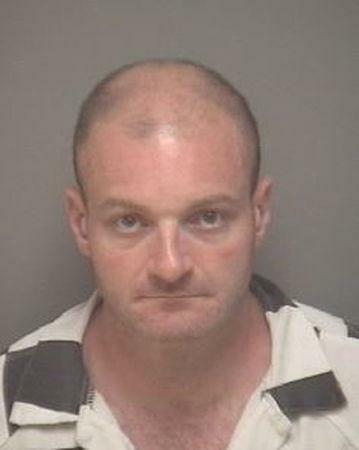 Christopher Cantwell turned himself in to police in Lynchburg, Virginia, on Wednesday to face felony charges of the illegal use of tear gas and of malicious bodily injury by means of a caustic substance, University of Virginia police spokesman Ben Rexrode said in a statement on Wednesday. Cantwell said in interviews with The New York Times last week that he had used pepper spray on a man "straight in his face" during a torch-lit march by hundreds of white nationalists on the University of Virginia campus on Aug. 11. "I thought that spraying that guy was the least damaging thing I could do," he told the Times. "In my left hand, I had a flashlight. My other option, other than the pepper spray, was to break this guy's teeth. O.K.? And I didn't want to do that. I just wanted him to not hurt me." A white nationalist rally the next day, which drew white supremacists, neo-Nazis and Ku Klux Klan members, turned violent as marchers clashed with anti-racism counterprotesters. Among the latter group was Heather Heyer, 32, who was killed when a man rammed a car into a group of counterprotesters. Cantwell was featured in a short Vice News documentary about the events in Charlottesville that was broadcast two days later. In the documentary, viewed more than 44 million times, Cantwell said Heyer's death was "more than justified." "I think a lot more people are going to die before we are done here, frankly," he said in the documentary. In a video published on YouTube on Aug. 16, Cantwell cried as he told viewers that he had tried to reach out to police after he was told a warrant was out for his arrest. "I have been engaged in violence," he said, "but it was done in defense of myself and others." Cantwell was in custody in Lynchburg and was due to be transferred to Charlottesville, university police said.